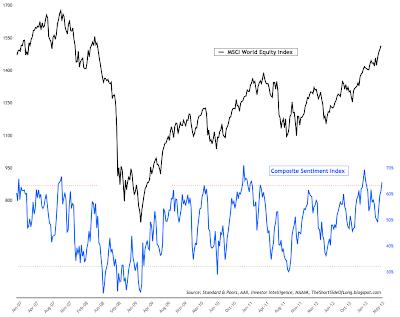 The following chart from The Short Side Of Long shows a composite of three of the largest sentiment readings (blue line) for the U.S. stock market heading into this week: AAII, Investors Intelligence, and NAAIM. If you click on the chart there is a dotted red line showing that we have crossed back into "frothy" territory on the sentiment readings. 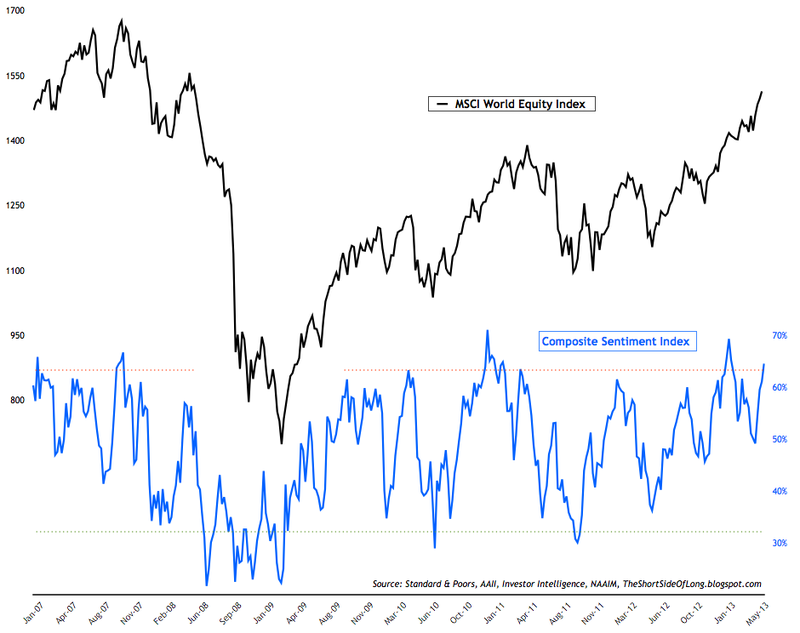 The daily sentiment index has hovered between 75% and 90% over the last month. It touched 92% this month, meaning that 92% of stock market traders polled currently believe the market is going higher. 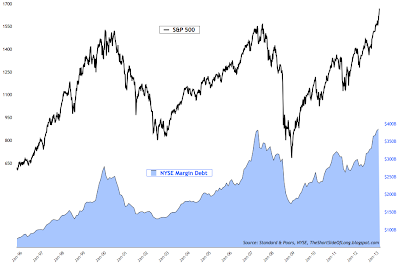 At the bottom in March 2009 it showed a polling of 2% bulls, meaning that 98% believed that stocks were going lower. In addition to sentiment, leverage continues to soar higher. 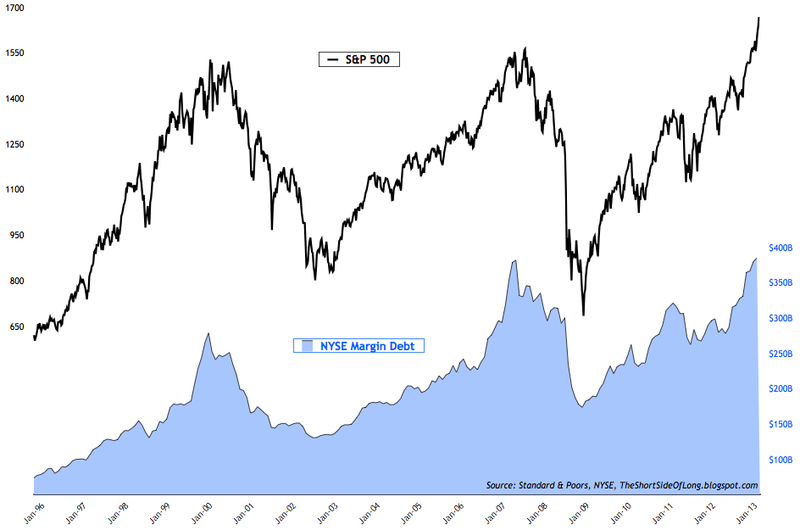 The following shows the NYSE Margin reaching a new all time record high (which was surpassed yesterday). As everyone believes the market will go higher, forever, they continue to bet more and more with borrowed money. In another market, gold, we also record positions taken with leverage, only it is on the opposite side. 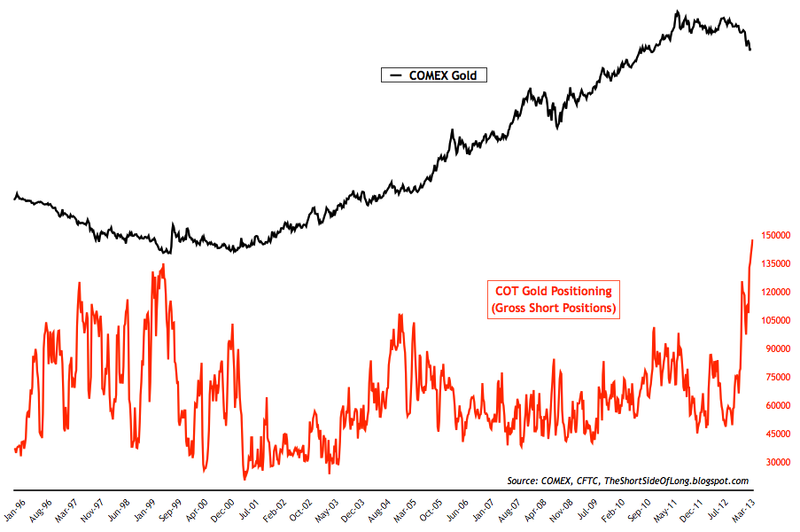 The commitment of trades report shows that there is now the largest short position on gold in 17 years. Traders are betting with leverage that prices will plunge from here. 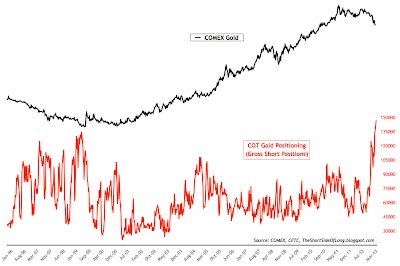 If prices happen to rise, which no one expects is a possibility based on current sentiment readings, then they would have to "cover" these shorts or buy gold. While stocks are setting up perfectly for a liquidation based on sentiment and leverage, gold is setting up for a spectacular short covering rally. I only recommend caution if you choose to be part of the rest of the world that is currently 100% long stocks and 100% sold out of precious metals. Thanks for sharing Debra you come up with the greatest transformations. SOLAS prop SOLAS propellers for sale. Buy your SOLAS prop today and save. Largest inventory of SOLAS aluminum and stainless props available.